Once upon a time, there was a country called Burma in Southeast Asia. If you’re not on the up and up with geography though, you may well have assumed it to still have the same name. While Burmese culture and cuisine has remained, the moniker it goes by now is Myanmar, home to over 100 ethnic groups. With a mixture of India, China, Laos, Thailand, and Bangladesh cultures, the foods of Myanmar are a unique hybrid of all these cultures making it something you shouldn’t miss out on tasting. 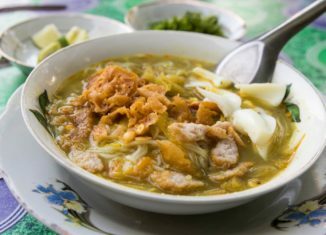 So what classic Burmese dishes should you try? 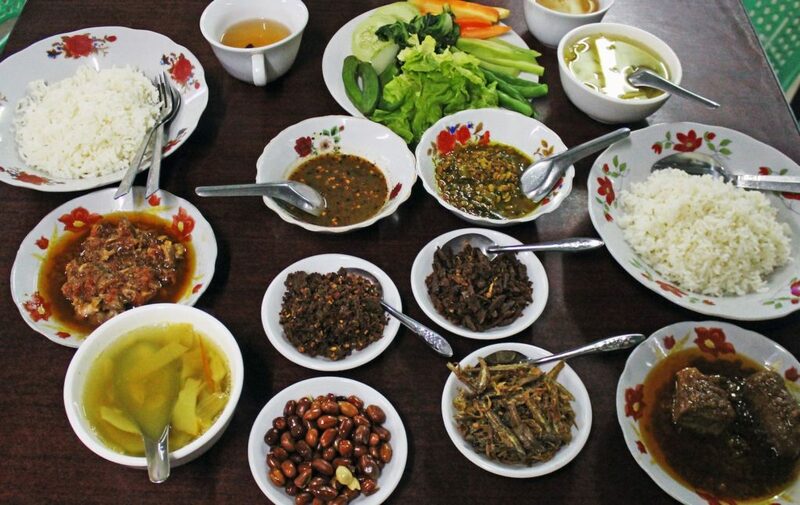 Check these # Burmese foods out! It’s known as the unofficial national dish of Myanmar. 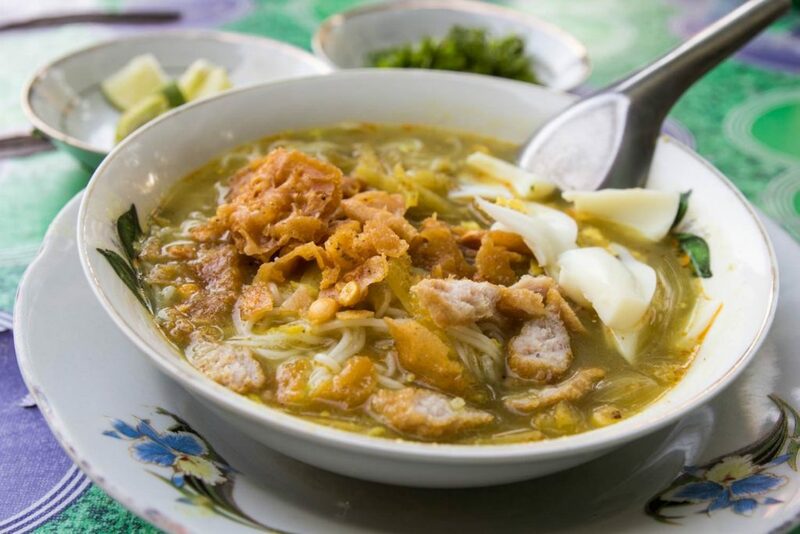 It consists of rice vermicelli in a light fish-based broth with ginger and lemongrass, plenty of garlic and onions and an assortment of boiled eggs and fritters. It’s actually a breakfast dish which might sound surprising, but one taste and you’ll be hooked. In a nutshell, it’s chicken and rice, but don’t let that basic description fool you. There’s nothing ordinary about the flavors of this dish. It has cashews, raisins, yogurt and peas cooked in a most unusual but delightful combination of cloves, cinnamon, saffron and bay leaves. 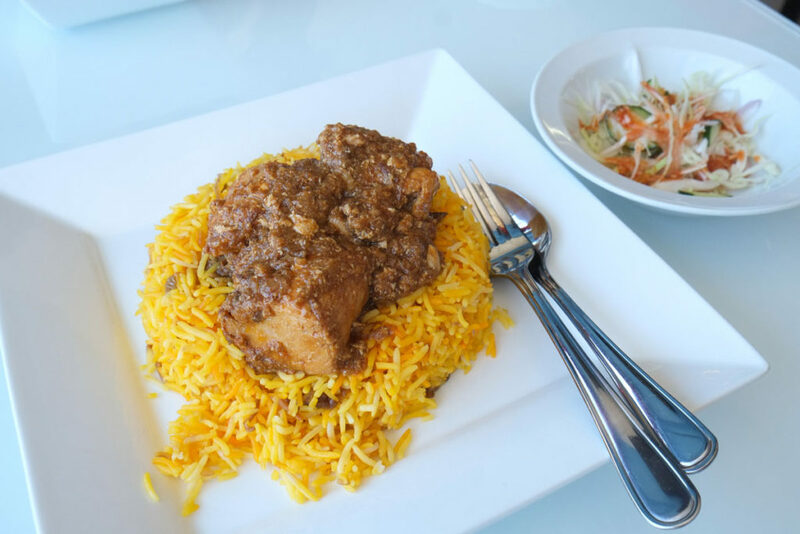 The chicken and rice cook together making for a melding of mesmerizing flavors. In this hearty morning snack, you can see heavy Indian influences with this flatbread that’s just like naan. 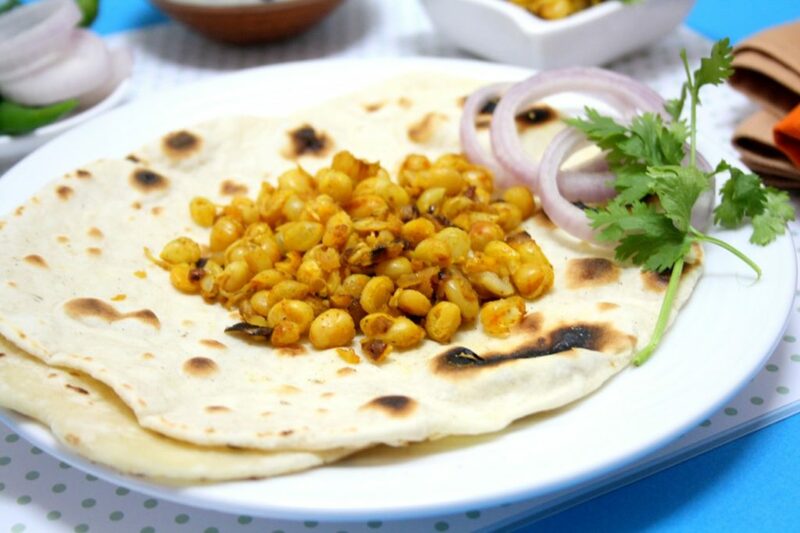 It is served with a type of boiled bean which you wrap up in the flatbread for on-the-go deliciousness. Because of the influences of all the cultures that make up this cuisine, curry here is phenomenal stuff. It’s bright and bursting with flavor. While they are generally mild (particularly compared to their Indian counterparts), they are heavenly and go quite well with lots of rice to soak up all the sauce. You are sure to find a curry here that will win your heart forever. 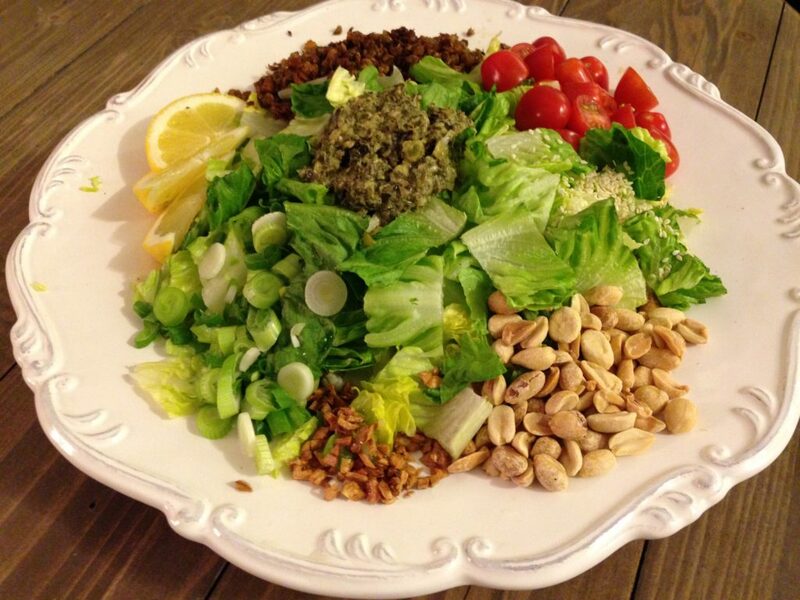 Called “lephet,” this salad is made from fermented tea leaves. They are mixed with shreds of cabbage, slices of tomatoes and fried bits of beans, nuts and peas. Then there’s the addition of garlic oil and bits of garlic with spicy slices of chili pepper for a sensorial exploration of the palate in the most pleasing of ways. It’s called “nga htamin” in Burmese, but you can call it fish rice. 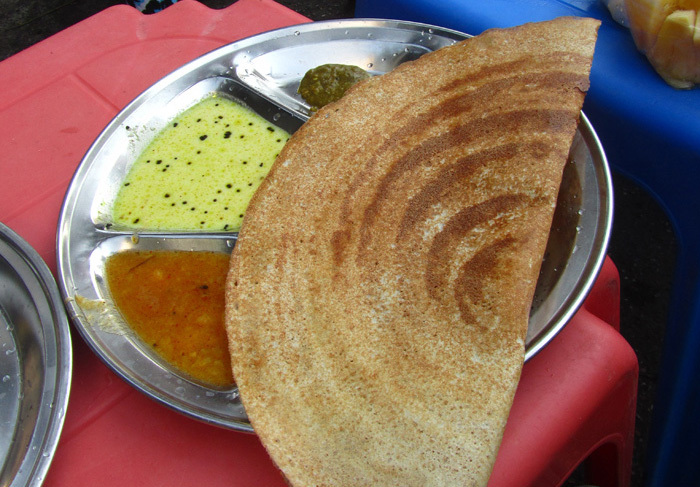 The rice is cooked with turmeric, one of the best sources of antioxidants, and then smashed into a disk of sorts. It is then topped with fish flakes and garlic oil. Depending on where you get it, it can be more spicy or more pungent, but it is a fantastic taste that will leave you wanting more. In Myanmar, the sweet snacks here are called “moun.” They’re not eaten as desserts either. Instead, they are gobbled up as snacks alongside tea. These aren’t sugary either and are sweetened by natural sources like grated coconut or coconut milk, or fruits. Try “has nwin ma kin,” a crumbly cake of semolina flour with coconut milk and raisins, or the Burmese-style pancakes known as “being moun” or “moun pyit thalet.” They can be sweet or savory and trying both types is recommended to get the full experience. 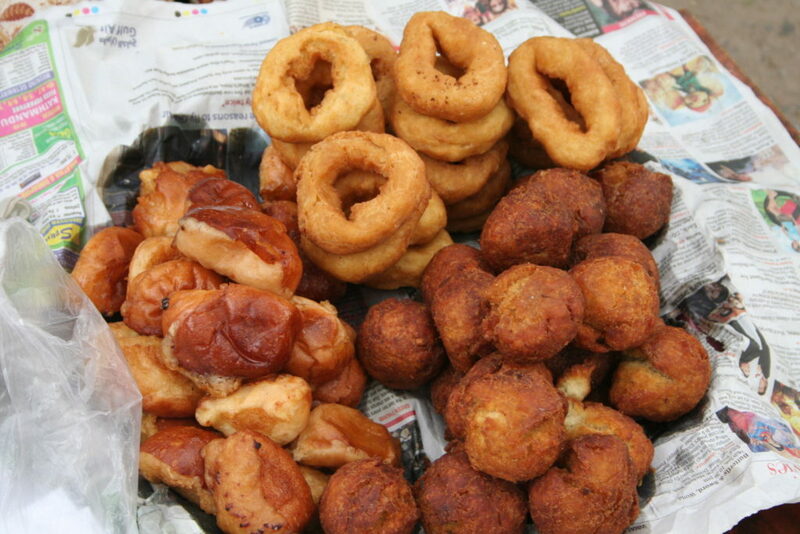 In Myanmar, there are loads of fried foods. It’s a paradise of fried snacks like spring rolls, samosas and savory fritters. There are fried sweets too, and even deep-fried garnishes that add a perfect textured crisp to the top of your noodle dishes. But one of the best is this deep-fried gourd. The outside is crispy but the inside is soft, a fantastic melding of textures. 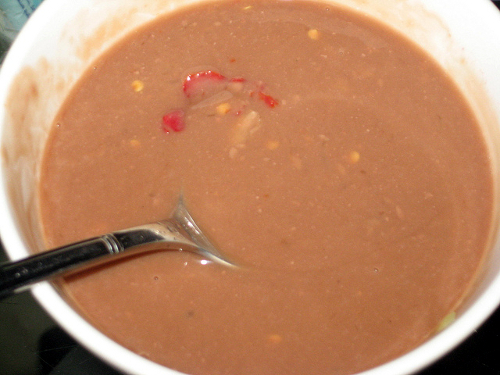 It’s often served with a sweet and sour dip of tamarind. 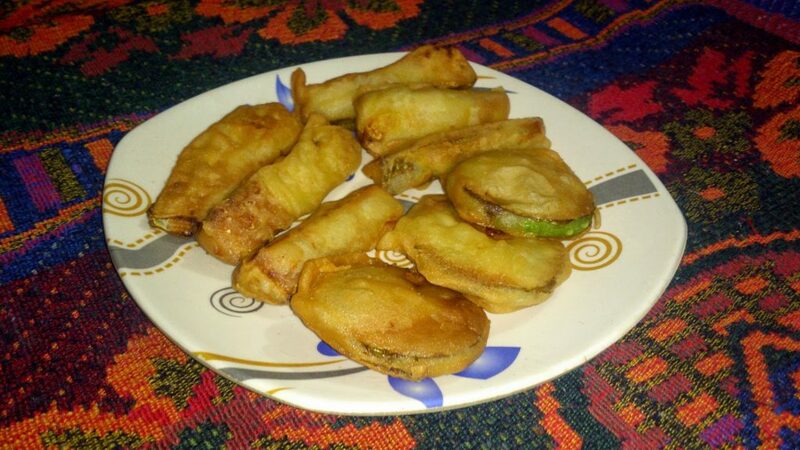 Another fried offering that you shouldn’t miss, tofu is deep-fried and resembles a bit of a taco. Inside, it’s stuffed with all sorts of things from cabbage to chilies with an amazing sauce that rounds the whole thing out. Don’t knock it until you try it. 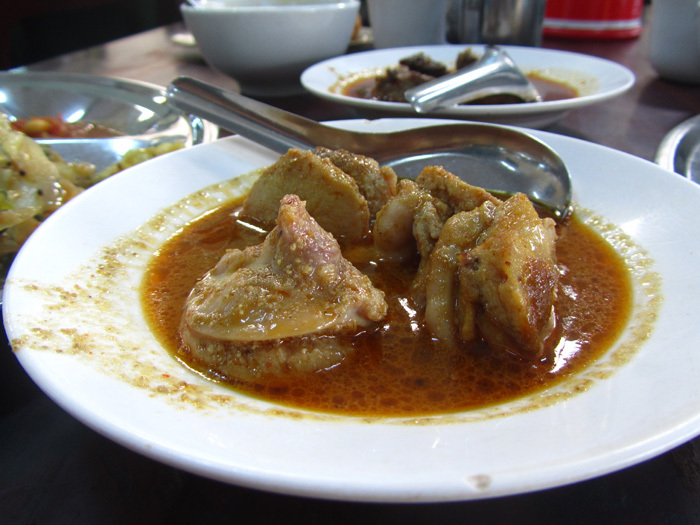 This dish is highly-revered among the Burmese. 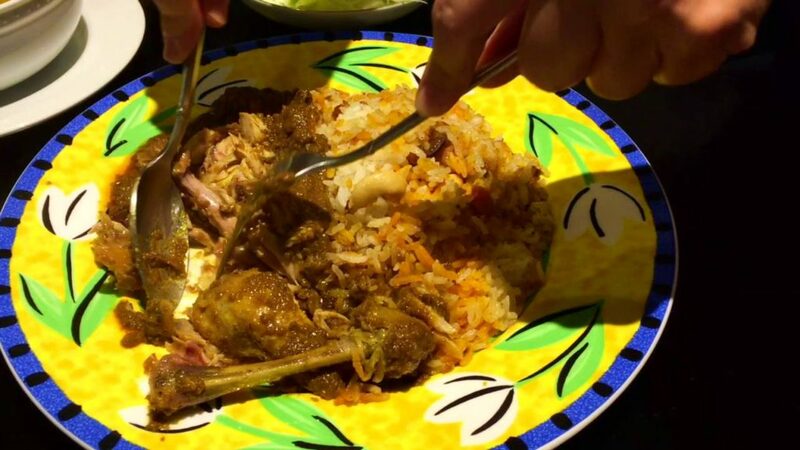 You’ll find it in curries and size dishes, but however you find it, if you’re adventurous with food, go for it. The texture takes a little getting used to but the flavor is surprisingly delicious. This wood-fired pancake is served with curry for a new spin on a savory classic. 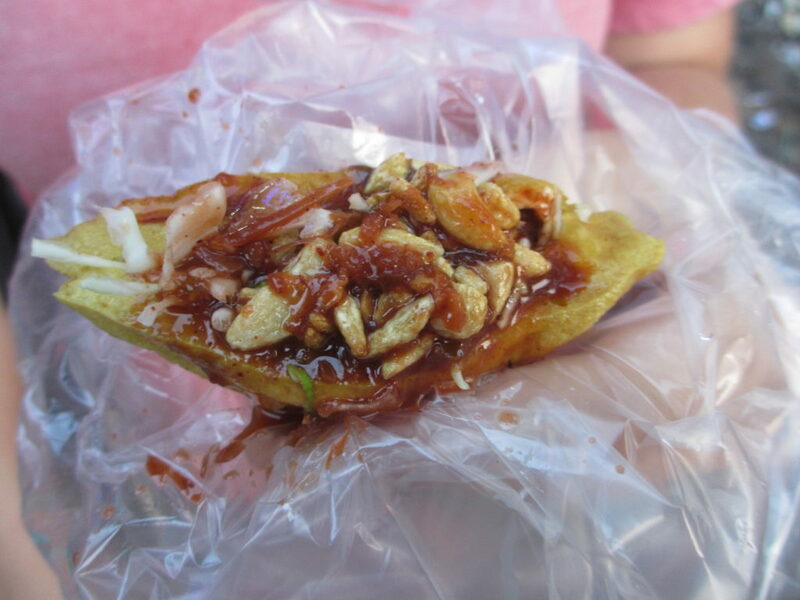 You’ll find street vendors everywhere with these on the side of the road so grab one for a snack and you won’t regret it. Cooked noodles wit a sauce of garlic, ginger, lemon and chili pepper is a zesty meal that you can customize to your own taste with the accompanying sauces. It generally comes with hardboiled eggs on top and is one you shouldn’t pass up. This classic spicy dip has mashed up fish (called “ngapi” with lemon juice, garlic, and shrimp powder. Try it with all the snacks it comes with and you’ll be wistful for it once you’ve returned back home. 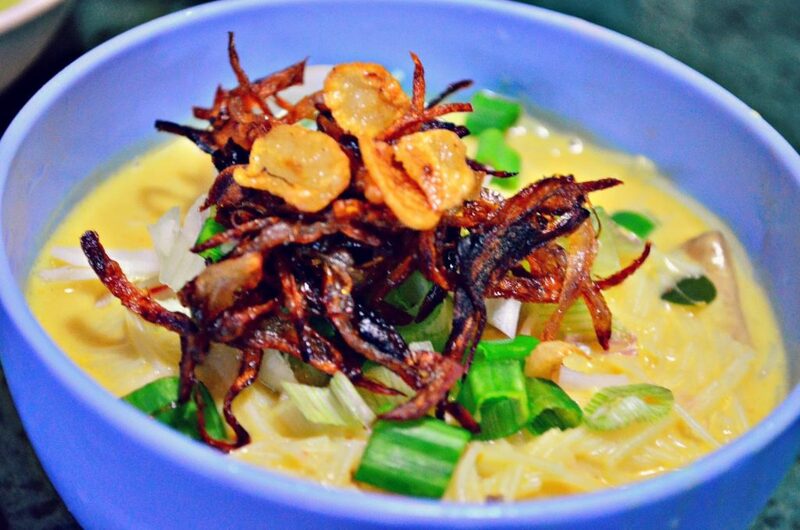 This is one of the most famous dishes in Burmese cuisine so don’t miss out on tasting it. It’s a rice noodle salad with chicken curry, boiled eggs, and onions. The taste is mesmerizing, no doubt why the locals adore it so much. 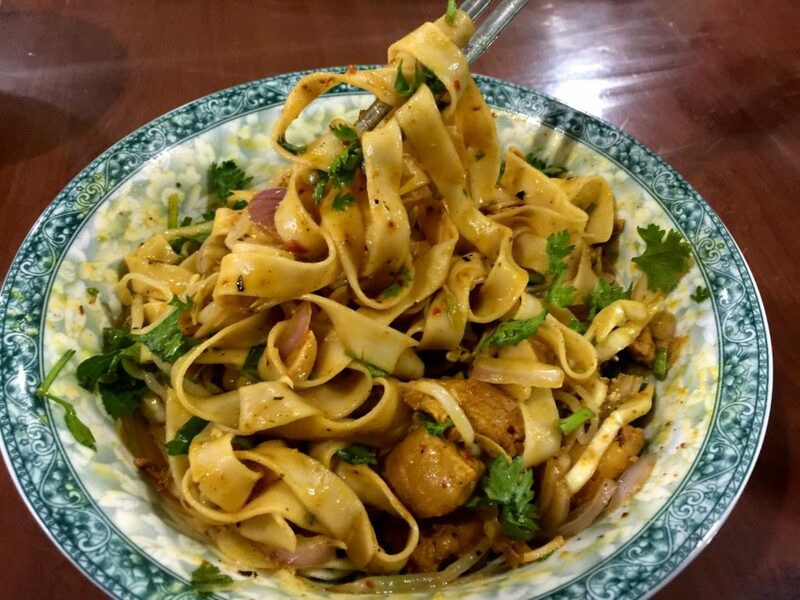 Hop a plan to Myanmar or look for Burmese cuisine near you. It’s definitely worth trying, and once you do, you’ll wish you hadn’t waited so long! More about Myanmar cuisine here.